Thank you, officers, for your hard work, dedication, and service to the community. We’re always happy to have you and look forward to having the opportunity to recognize you next year. Below is the press release that announced the event. Walla Walla, Wash., (Feb. 14, 2018) – Law enforcement officers from four local departments will be recognized for their outstanding service in 2017 at an awards ceremony on Wednesday, Feb. 21 at 7 p.m., at the Walla Walla Masonic Center, 607 East Main Street. * Detective Roger Maidment, College Place Police Department. 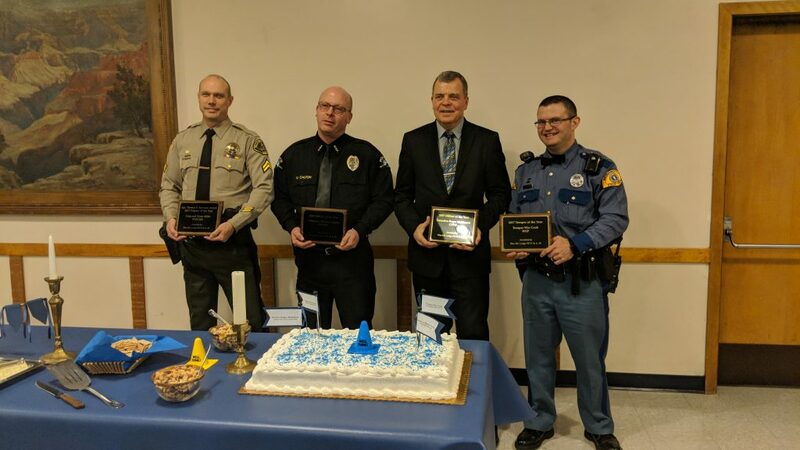 These officers were selected by their respective agencies and will receive Officer of the Year awards presented by Blue Mountain Lodge #13, of the Most Worshipful Grand Lodge of Free and Accepted Masons of Washington, here in Walla Walla. The event is free and the public is invited to turn out to help honor these officers. Refreshments will be served.